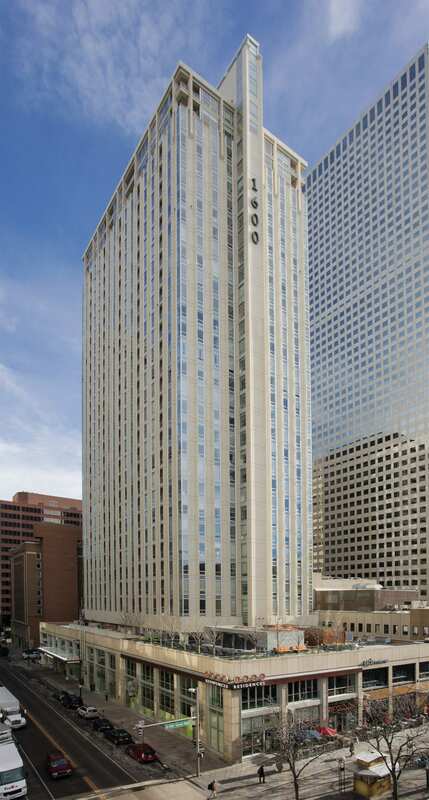 A Massachusetts-based real estate investment company made its entry into the Colorado market with its acquisition of 1600 Glenarm, a 31-story mixed-use asset in the heart of downtown Denver. Northland Investment Corp. paid $131 million, or $393,393 per unit, for 1600 Glenarm, which comprises 333 apartment units as well as approximately 29,000 square feet of commercial space. Northland Investment also acquired a 0.77-acre parking lot at 14th Street and Glenarm Place that could accommodate 305 residential units in a 31-story tower for a reported $4.5 million. “We are very excited to be entering the Denver market with the acquisition of a best-in-class generational asset. In many respects – a highly educated workforce, internationally acclaimed health care and a high-quality, healthy lifestyle – Denver evokes Boston and Austin, two core Northland markets in which we have had great success,” said Matthew Gottesdiener, Northland’s chief investment officer. Originally built in the 1960s as an office building and home to Security Life, RedPeak purchased the property in 2004 and converted it into “one of the first true luxury downtown high-rises,” added Robbins. It opened in 2006. The property features studio, one- and two-bedroom and penthouse units that average 980 sf – big units in today’s downtown Denver apartment market, noted Robbins. Units also feature electronic entry locks, hardwood flooring, slab granite countertops, a kitchen pantry, washer and dryer, and walk-in closets. Some units also include high ceilings, kitchen islands, individual gas grills on balconies and a private terrace or balcony. Community amenities include covered and off-street parking, controlled access, a resident conference room, movie theater, game room, resident library, state-of-the-art fitness center and outdoor terrace with barbecue grills and fireplace, for example. At the time of sale, 1600 Glenarm was 94 percent occupied. Its retail space, home to Earls Kitchen + Bar, Cook’s Fresh Market, Protein Bar & Kitchen and Novo Coffee, was fully leased. Earls also offers door-to-door room service to residents. “The property (1600 Glenarm) is a one-of-a-kind, legacy asset within the downtown Denver market and by far one of the most recognizable assets in the area,” said Robbins. “RedPeak was extremely forward looking in 2006 with its conversion from office space into a mixed-use residential and retail building, which has allowed 1600 Glenarm to maintain its prominent image within the market since its completion. “Northland recognized the irreplaceable nature of this asset, which marked their entry into the Denver market,” he continued. “This, coupled with their ability to implement an aggressive value-add strategy, will only serve to further the property’s position downtown.” With the acquisition, Northland owns more than 25,000 residential units across 10 states.